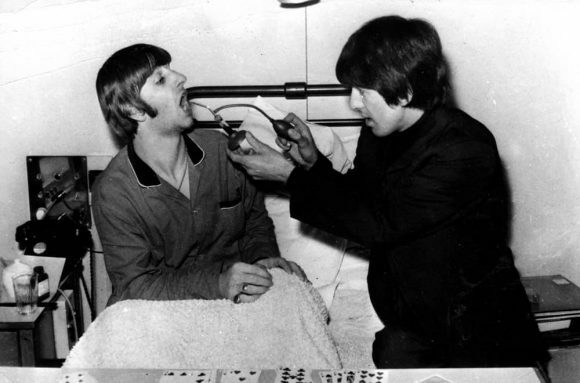 Six days after his tonsils were removed, Ringo Starr was visited in hospital by George Harrison. The visit increased the security problems at University College Hospital, London, which had been trying to keep the fans at bay since Starr's arrival on 1 December 1964. Paul McCartney visited Starr on the following day.